Lauren Vargo and I conducted our Senior I.S. 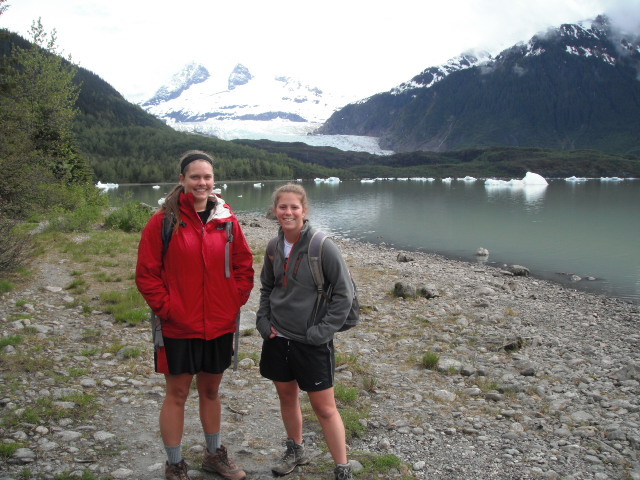 field work in Glacier Bay National Park and Preserve, a beautiful park in the small town of Gustavus, Alaska. 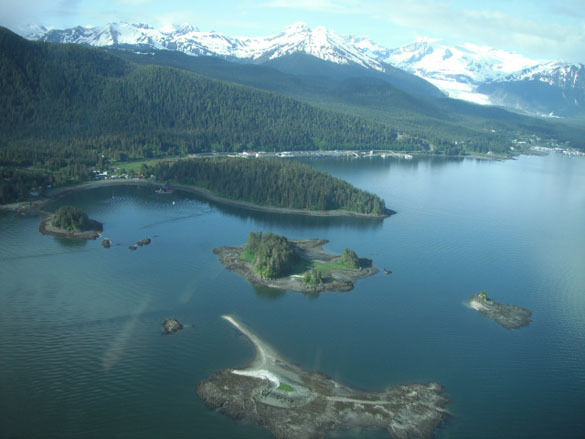 GBNPP is a gigantic park that covers a span of 3.3 million acres of diverse landscape, from mountains, temperate rainforest, deep fjords, wild coastlines, and temperate rainforest. We spent the majority of our time in Adams Inlet, a “small” cove located in the East Arm of the park. 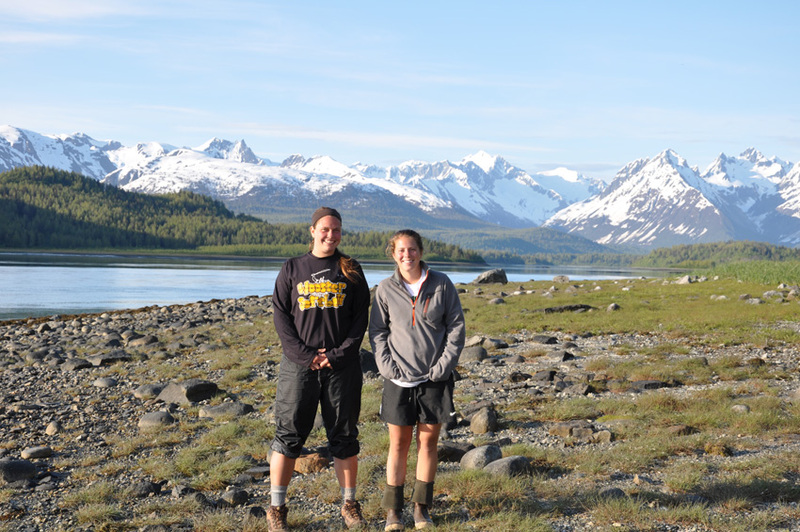 Lauren and I soon learned that things in Alaska are usually much larger and farther away than they first appear! 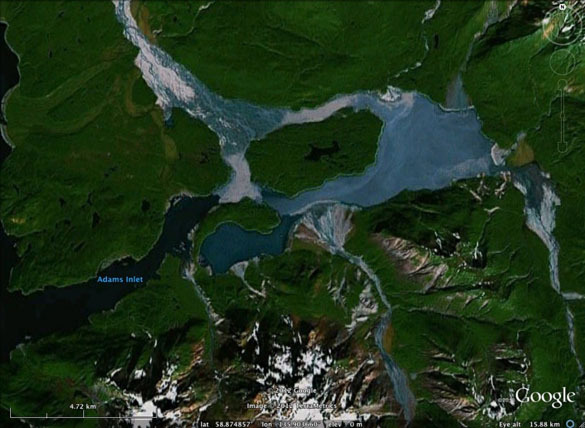 The tidal system of the Pacific Ocean dominates Adams Inlets. On a daily basis the difference between low and high tides was over fifteen feet. 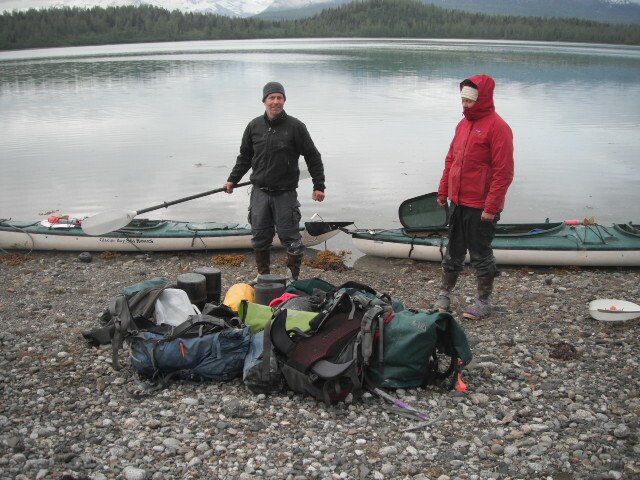 With water constantly flowing in and out of the bay, it was impossible for motorized boats to enter the inlet, so instead we kayaked!……with all our gear. 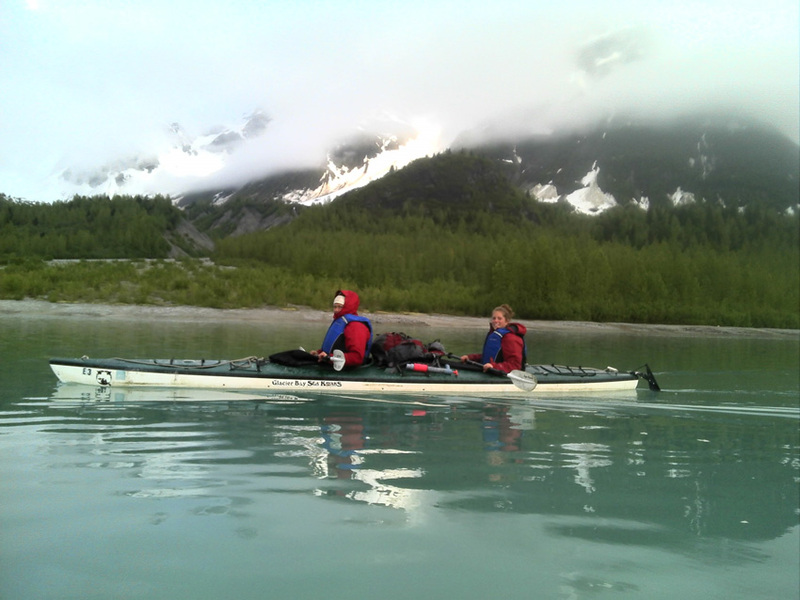 Not only was kayaking a great arm work out, it was a unique way to experience the wildlife of Glacier Bay. 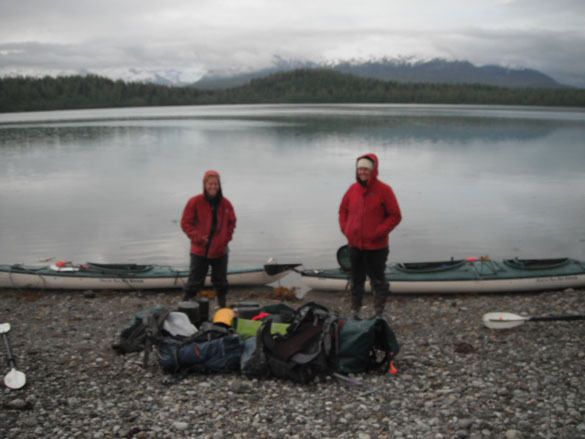 We saw many birds, seals, porpoises, and even a seal lion as we paddled through the inlet. 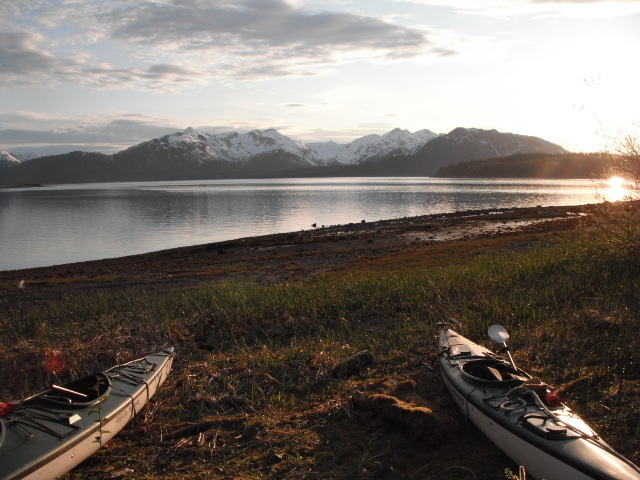 On our first day in the field, we set up a base camp close to Muir Inlet, the location of the famous author John Muir’s cabin. After working in this area for a couple of days, we packed up a modified camp and paddled deeper into Adams, with the tide of course! 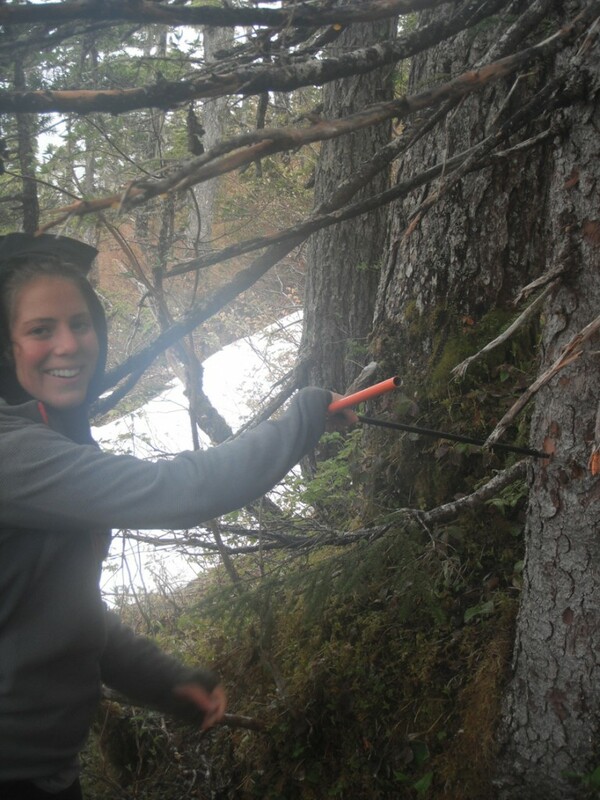 A large part of our fieldwork was to collect cores from ancient trees. 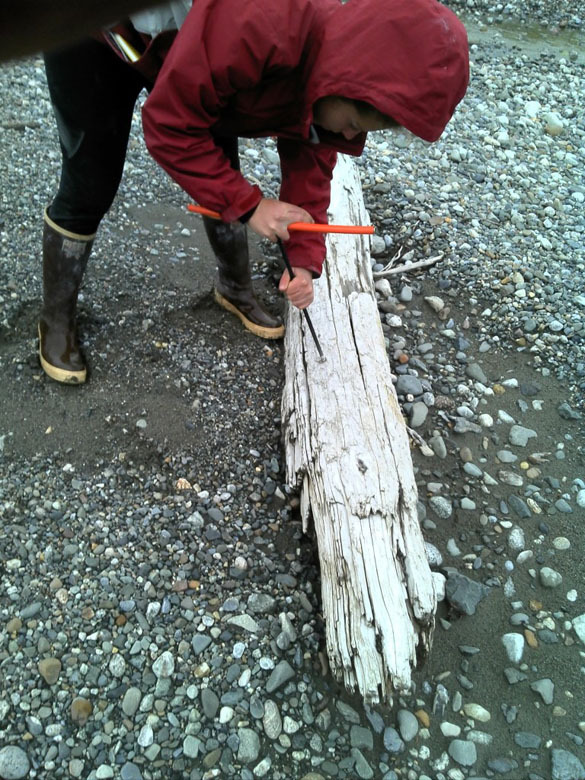 We hope to uses these cores, as well as some samples we gathered for radio carbon dating, to gain a better understanding of the glacial history of Adams Inlet. Our hope is that the dates these trees will provide will correlate with the sediment and stratigraphy found in the various exposures we worked in. After our twelve days of working in the field Lauren and I got to take a day off. We took a boat tour up the West Arm of GBNPP. On the tour, we got to see even more wild life from brown bears to mountain goats. 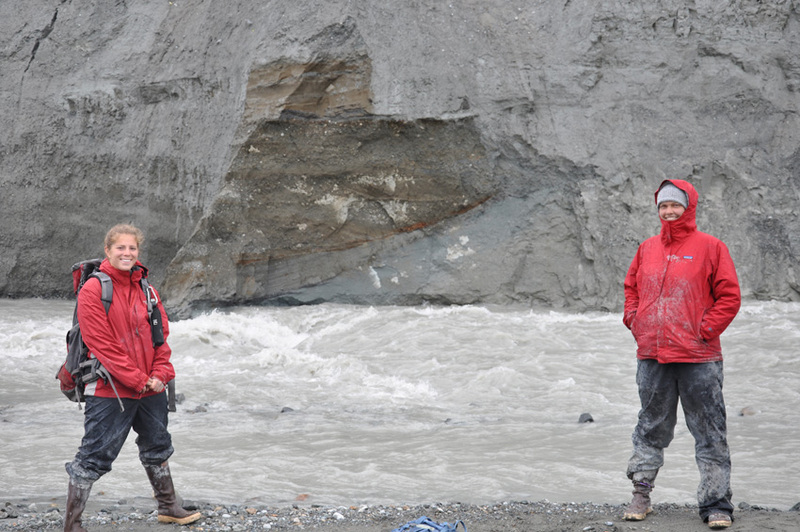 But, most importantly we finally got to see the impressive and dynamic glaciers of GBNPP. Going to GBNPP was an experience I will never forget. Not only did I learn how to properly defend my self from bears, pitch a tent, core trees, and kayake, I learned what it takes to perform real geologic fieldwork. Senior I.S. has just started and I am already learning skills I will take with me after graduation. I would like to give a special thanks to both Lauren Vargo and Dr. Wiles for making this experience so great, as well as the National Park Service and National Science Foundation for all their support. 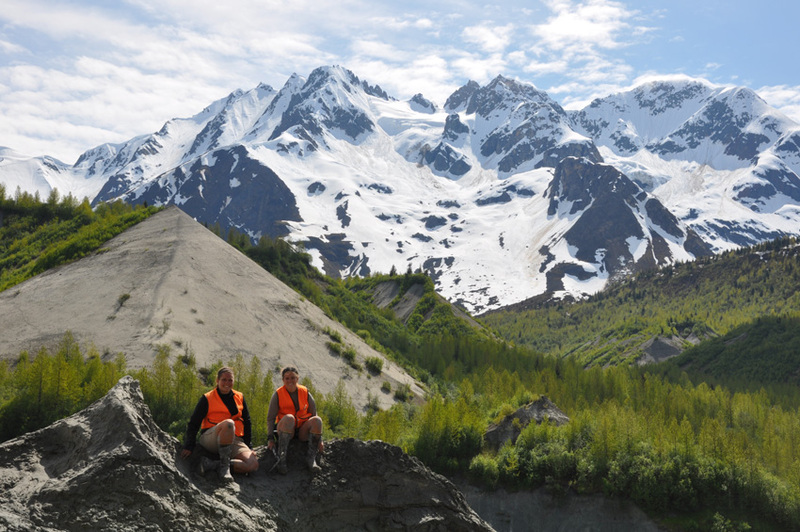 From the desert to the rainforest, several other Wooster geologists, Dr. Greg Wiles, Jenn Horton, and myself, traveled to southeast Alaska. 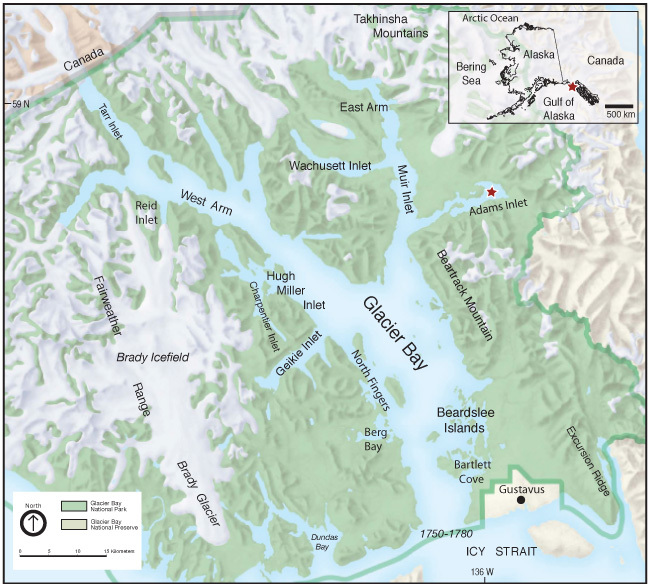 The main goal of the trip was to investigate Adams Inlet in Glacier Bay National Park and Preserve where we planned to use tree rings and stratigraphy to gain a more detailed geologic history of the Inlet. 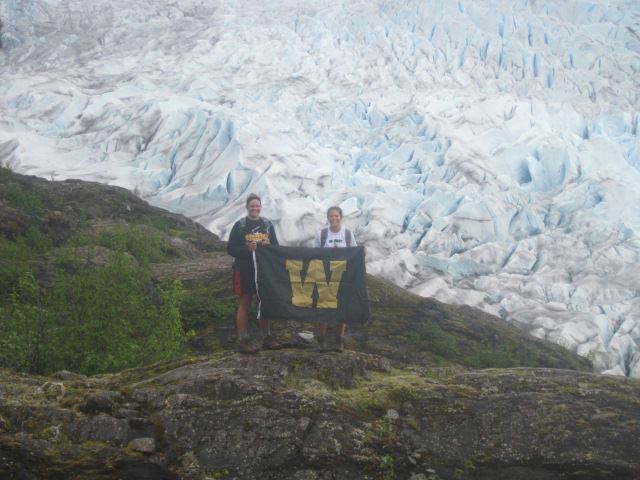 However, our journey started (and ended) in Juneau with hikes up to and around Mendenhall Glacier. On our first day in the capital city, we took a leisurely hike up to the Glacier where we ate lunch near the terminus and saw first-hand glacial calving. 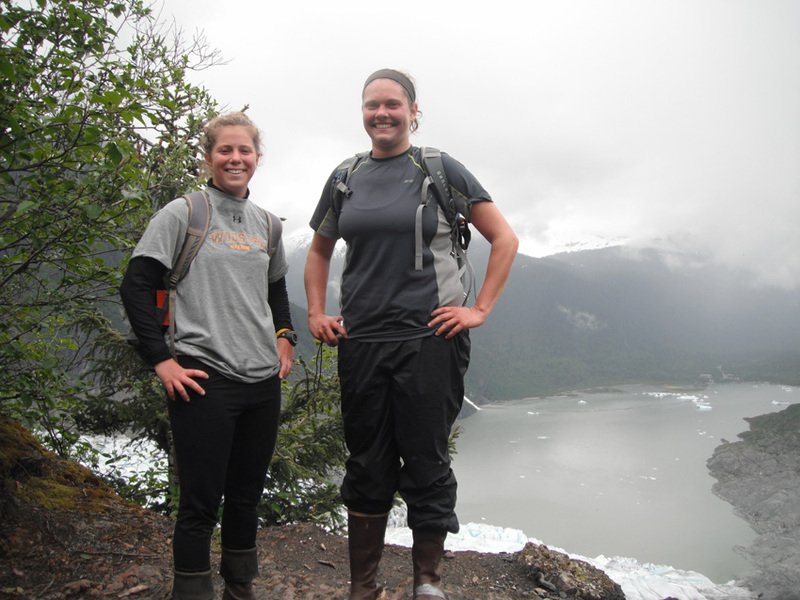 On our last day in Alaska, instead of hiking to the Glacier, we hiked up to the snow near tree line. We cored mountain hemlock trees for samples to send to a Swiss group to do isotope research, as well as to update our existing chronology. 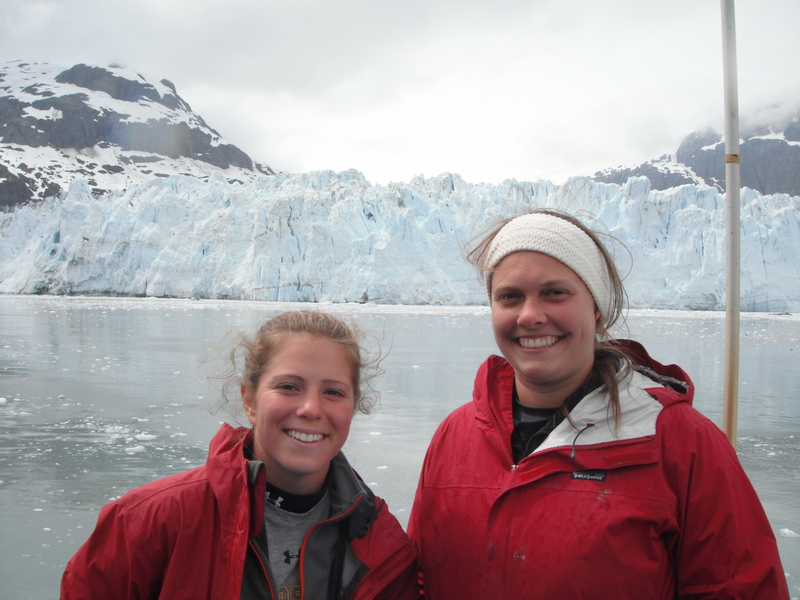 In between these excursions in Juneau, we traveled to Adams Inlet, our main destination, to research and collect data for our Independent Studies. We were lucky enough to have beautiful, sunny weather on our first day in the field. 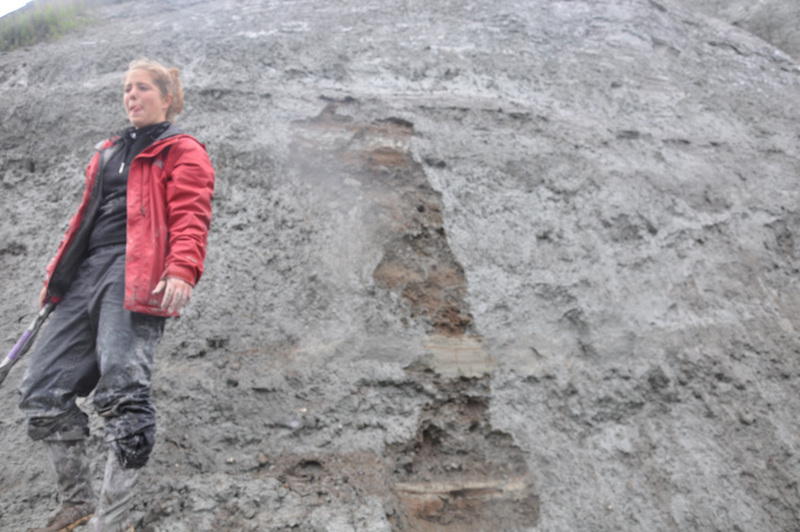 In the Inlet, we looked at and took careful notes of the stratigraphy of several different valleys. 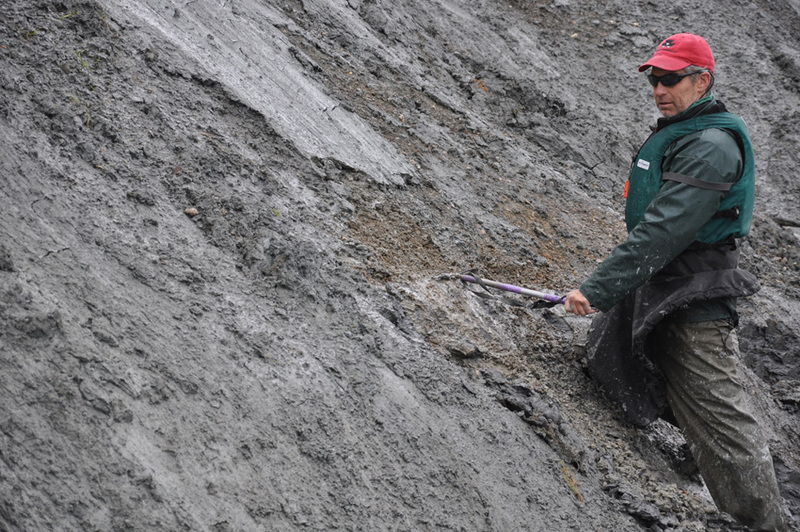 We spent a good deal of time using the ice axe to clear off weathered and eroded sediment exposing varves (annual layers of clay and silt deposited in lakes) and other layers, usually of sand, gravel and glacial diamict. 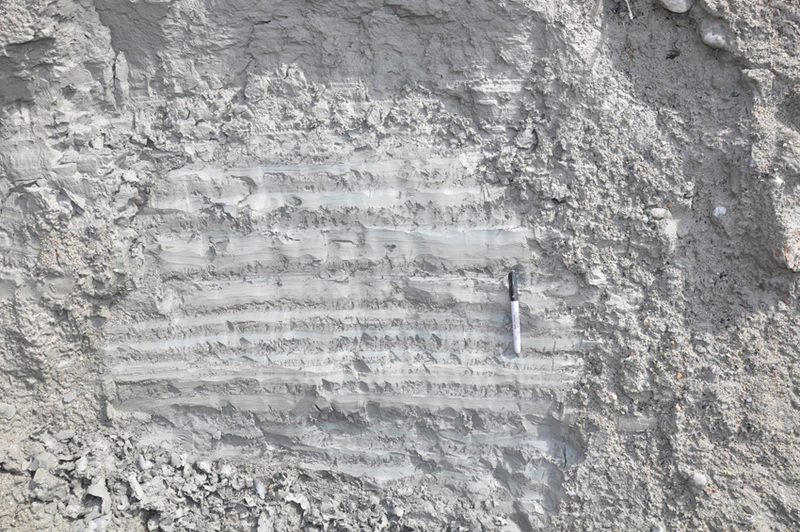 In addition to the stratigraphy, in one valley we saw an amazing matrix supported rock flow. And a second video here.